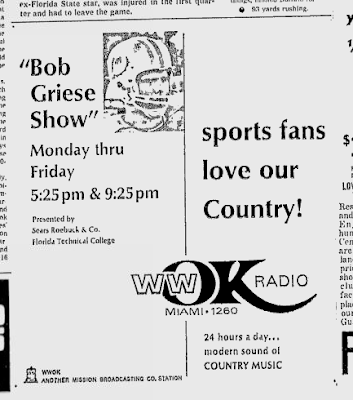 I wonder if Bob Griese played much Jeannie C. Riley or Jack Greene on his weeknight country-music radio show. 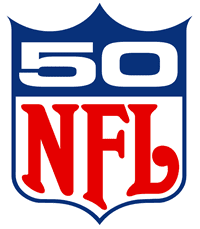 This 1969 NFL Logo does a better job with the "50" theme than does the gold and navy logo the NFL is going with for the 50th anniversary of the Super Bowl. One of my hopes for heaven is that all media from the history of this world will be available for unlimited consumption. 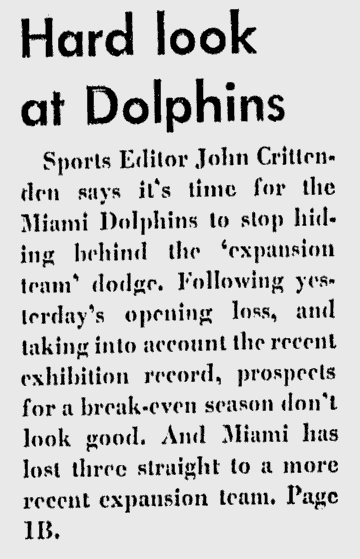 Another of my hopes is that I will be interested in media from this world, and another still is that time will exist in such a way that I have no regrets about consuming media instead of doing something else with my time. Of course, my primary hope about heaven is that I get to go. 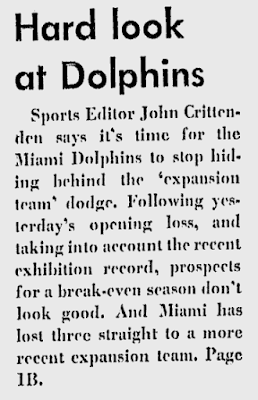 In any event, I'm sad to report that archives of The Miami News disappeared from the free public Internet about two months after this post--and about three months before the Dolphins hired Don Shula away from Baltimore in my pretend 1970 world.